It was an exciting moment when Viking River Cruises christened four new longships, and I feel incredibly thankful to Viking for inviting EuropeUpClose.com to report on the event. I send warm wishes to all of the people at Viking, from Chairman Torstein Hagen and his welcoming daughter Karine Hagen to the good folks in PR and sales to the crew on board. Check out their website here and learn what riverboat cruising is all about. It might just be the most fascinating method of touring Europe to emerge in the past 20 years. 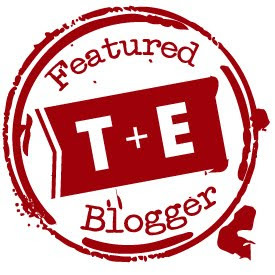 In my coverage of the event for EuropeUpClose.com, I couldn't fit all of the amazing experiences that I had into my articles. As a result, I'll be posting short highlights on this blog over the next week, beginning with Viking-brand Viking Aquavit. Aquavit is powerful spirit from Scandinavia (the land of the Vikings!) that tastes strongly of caraway seed. The name means water of life. For many, this spirit is too mighty, but I believe that there's a time and a place for it. Scandinavian food is rife with smoked and pickled dishes, from smoked fish to pickled cabbage, cucumbers, and beets. I can imagine several smoked dishes that will pair well with wine, but I can't think of a single wine that would pair well with the myriad pickled accompaniments and sauces traditional to Scandinavian food. Fortunately, aquavit pairs well with everything! Viking Aquavit was served onboard Odin in a nifty carafe or decanter with a shot glass for a lid. The shot glass nests in the carafe's spout. The next time you're munching on a smørrebrød sandwich, consider sipping on a shot of aquavit. Over the next four days I'll be Tweeting from the waterways of Holland! Follow me on Twitter for the latest updates. I've never been on a cruise of any kind before, and I'm not sure what to expect. My dad was a wooden boat builder, so I love being out on the water and can't wait to see the cities of Amsterdam and Rotterdam from the waves. Viking River Cruises specializes in all-inclusive river cruises in Europe and China, and I will be covering the christening of its new longboats in Amsterdam for EuropeUpClose.com. Each longboat can accommodate 190 passengers, so these aren't megacruises. Upcoming highlights include awesome views from longboat balconies; a visit to the famous Amsterdam distillery, House of Bols, followed by a tour of the Red Light District (there's no way I'm letting jet lag make miss this on the first day! ); a trip to the famous Kinderdijk area, known for its windmills (Van Gogh was also born near there—Will there be absinth *hint *hint? ); a trip to the Hague and Rotterdam's art museums. 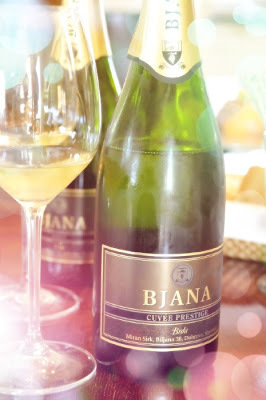 It's been four months since I drank Bjana's wines, and memories of the Slovenian winery's Cuvée Prestige carry with them a strong emotional response. That wine is opulent in a great way; it is rich, dark, and full. If I were king, I'd drink it every day. 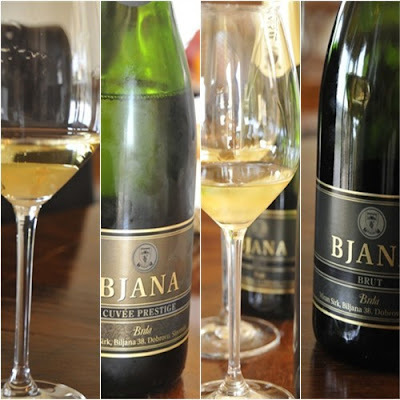 Bjana winery is one of the few sparkling wine producers in Slovenia's Goriska Brda region, a wine region that boarders Italy and the famous Friuli wine region. The environmental differences between Goriska Brda and Friuli seem negligible to me, but the latter region is famous and the former is not, making Goriska Brda an excellent place for budget wine tasting. My visit to Bjana is case in point. 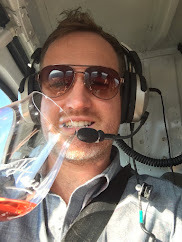 It was a crisp fall day, and I went rogue wine tasting. I knocked on several winery doors and had about a 50% success rate. When I pulled up to Bjana winery, I couldn't find anyone, then I saw an open door leading into a subterranean room. Racks and racks of up-side-down wine bottles were waiting to be disgorged, and winemaker Miran Sirk was up on a ladder. He was kind enough to stop his work and let me taste three of his sparkling wines. The winery is located inside of a farm house that was built in 1288. Miran's grandfather purchased the property after WWI. When Yugoslavia was born in 1929, the property was confiscated by the government and the home was parcelled out to several families. When Slovenia declared independence in 1991 and the family recovered the residence, it was in terrible shape. Many of the rooms had been vacant all that time, allowing everything from critters to snow to get in. But today, the tasting room has an unpretentiously affluent atmosphere. 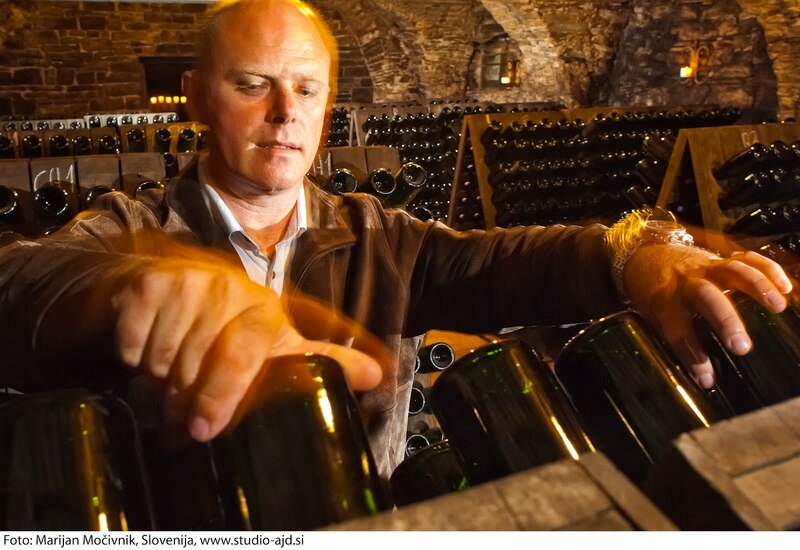 Up until 1990, Goriska Brda's sparkling wines were made sweet. Miran wanted to show that dry sparkling wine can be more "elegant, complex, and round in the mouth" when he opened the winery. I tried the Brut first, made from 50-70% chardonnay and 30-50% ribolla (ribolla is the region's most important white grape). It was medium bodied and tasted fine, but the bottle had been open for a while and it was both a little warm and a little flat (a few drinks before cellar work, ah Miran?). I tried the Brut Rosé next, made from 75-85% pinot noir and 15-25% ribolla. It was very dry and crisp, and, had I been wearing a blindfold, I doubt I would have identified it as rosé. If I'd left the winery after these two sparkling wines, I wouldn't be writing this blog post. But next came the Cuvée Prestige. This incredible wine, made from 50-70% chardonnay and 30-50% ribolla, is sold at the winery for just 18€. It features only the best fruit, all of which comes from vines that are 20 years or older. Like all of Bjana's wines, is made in the methode champenoise method. The base wine is aged in French barrels for 7-8 months and the wine is aged on the lees for a minimum of 42 months. Miran adds very little sulfur. He said that the cuvée would be good either cold or warm, bubbly or flat. It has so much character that I believe it. The body was huge and round, and the bubbles were small, creating a creamy mouthfeel. I tasted caramel and roasted almonds. Miran said it could age for another 10 years at least. You get to try three wines with a plate of local cheeses and meats, and Miran made a point of saying that the cheeses and meats are the not the kind that you "can by in a grocery store," but artisanal cheeses, such as the region's well-known Tomlin cheese. You can make a reservation by phone or email. Bjana winery offers romantic, luxurious accommodations, too, and there's no better place to stay in Goriska Brda than at a winery. At Bjana, the room price includes a wine tasting and a bottle of sparkling wine of your choice. 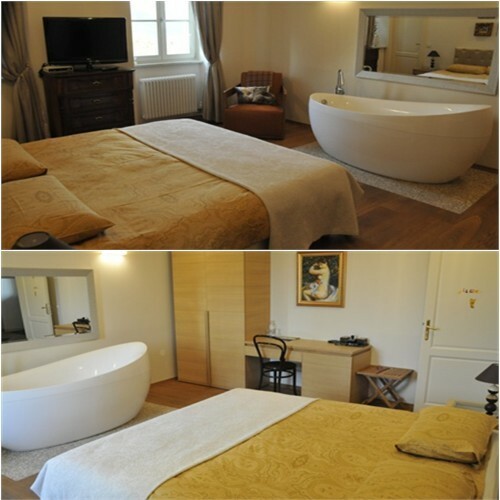 Rooms come with a sweet jacuzzi, too.